On (or prior to) your first visit you will complete the INITIAL REGISTRATION FORM which will provide your health history as part of your assessment. This important information includes medical conditions and medications necessary for me to provide a safe and effective treatment. I will listen to your concerns and assess your individual needs, as well as other factors that may be contributing to your condition (lifestyle, nutritional status, etc). Then I will develop a treatment plan with you to ensure you receive appropriate treatment that will help you to return, as much as possible, to your normal activities. 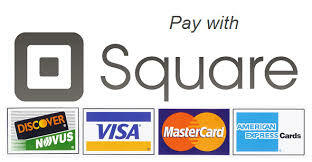 I am pleased to accept payment in Cash, Personal Cheque or Email Money Transfers and Square credit card payments. I also provide DIRECT BILLING through Telus Health Portal, please inquire to see if your insurance company takes part in this program. All accounts are due at time of treatment unless special consideration has been provided. Ideally, please plan on arriving 5 minutes before your scheduled time to ensure you are on the table at your appointment time. In the event that you are unable to keep your scheduled appointment, please contact me by phone at least 24 hours prior to your appointment. A fee up to the value of your scheduled appointment may be administered, at my discretion, if arrangements are not made within this time frame. NOTE: It is recognized that there are circumstances that are out of your control (sudden illness, family emergencies, etc.) and as a result, an exception may be made to the above policies on those rare occasions. If you have any concerns about Massage therapy services and fees, please click the link below.